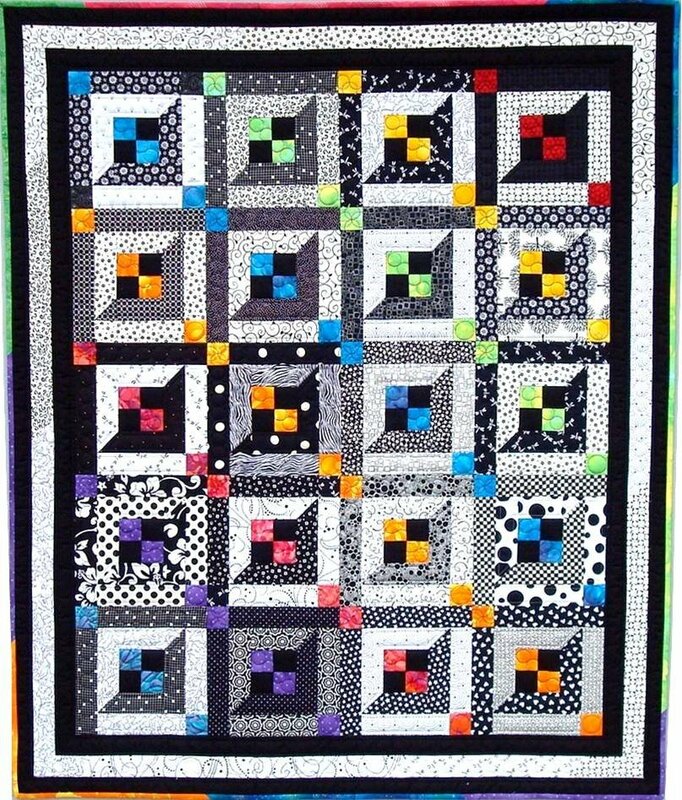 This quilt can be made by collecting black & white fabrics. The more variety you have the more interesting the quilt. The 4-patch in the center of the block looks like it's floating, but there are no set-in seams. Very easy to follow instructions.